Are you using these secrets to grow your manufacturing business? Do you constantly review the #1 Secret? Are your key people reacting to the Intelligence in Secret #5? To receive your free copy of our latest whitepaper – please go here now Whatever your manufacturing niche or size of organisation, the pace of change faced by leaders to run a successful and profitable business is an everyday challenge. We have put our time and effort into researching the “DNA” of successful manufacturing businesses and now we’re ready to share this with you. Regardless of the level of success of your business, it’s vital you’re always on the leading edge and taking on-board best practice from the marketplace. The whitepaper shares the product of our research and the latest attributes of what leading manufacturing companies are doing right now. When CRM Online’s MD, Peter Sidhu, heard that his wife was helping to raise £7,000 for a worthy cause, he offered his own support and that of CRM Online. Jackie Sidhu took part in a triathlon in a bid to collect enough funds to buy Lotty Richardson a new realistic prosthetic leg. CRM Online gave £500 to Lotty’s appeal. Half this amount is from our Indian partners Squadsoft and Nitin Grover, who have been in the UK working and watching Jackie prepare for her race. A year ago Lotty Richardson had to have one leg amputated from below the knee, due to a large Sarcoma in her ankle. After undergoing seven months of intensive chemotherapy at the Teenage Cancer Ward at Addenbrooks Hospital, Cambridge, Lotty returned to work. Due to her strength and character she is walking on a prosthetic leg. Last year Lotty, her family and colleagues raised £5,000 for the Teenage Cancer Trust and the ward, where she was treated. “It is now time for Lotty to benefit from our fundraising,” said Jackie, who spent hours practising running, swimming and cycling. When Peter heard that his wife was a little nervous of swimming in open water around a lake on her own, he donned a wetsuit and joined her on her practise session. 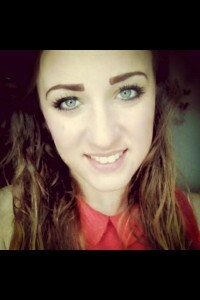 Lotty said: “I am really grateful to CRM-Online for their donation”. Lotty’s parents of Great Wratting, Suffolk. are organising a craft day, friends are doing sponsored runs, walks, cycles and an Autumn Ball is being planned for later in the year. 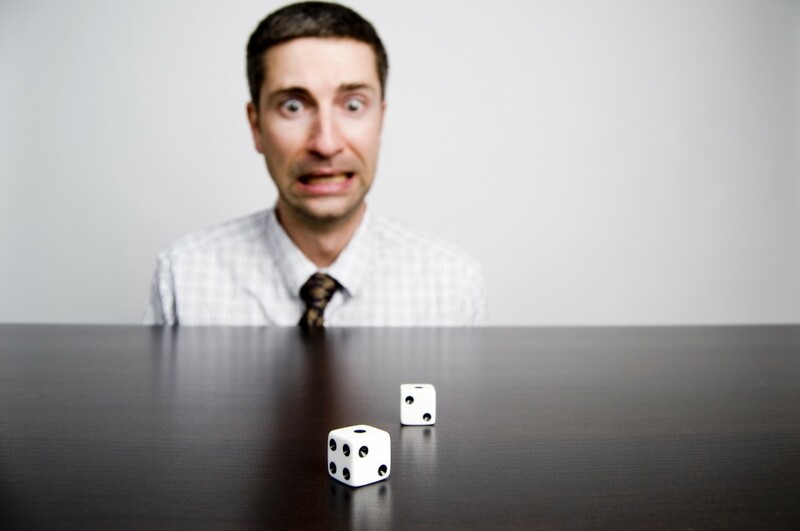 Are your decisions based on fact or fiction? We are told Sales people are “commercially inactive” when creating reports and forecasts, turning them from deal makers into administrators. This role change can impact massively upon sales activity; deals may be lost as the pipeline cools. Our solution gathers business wide data, creating reports focused on identifying trends, KPIs and other hard facts, providing business intelligence as a by-product of people just doing their jobs, using your CRM system. Dynamic standardised reporting within CRM provides a true picture in real-time, promoting fact based decision making and leaving gut instinct behind, allowing sales to win more deals. CRM Online has been working with Client Relationship Management (CRM) systems for Financial Services organisations for a number of years. Our ultimate aim is to bring together areas of business operations and data within Marketing/Sales/ Regulatory/Client On-boarding/Client Service within the framework of the regulatory environment, to enable your teams to win more business, deliver exceptional customer service and of course remain compliant and audit ready. Call or email us today and let us help you focus on business growth! Some firms tell us that they spend more than 40% of their time managing data and processes in all their departments to ensure they meet all regulatory compliance requirements. Embracing robust processes and technology to avoid these challenges is imperative to remain in business. 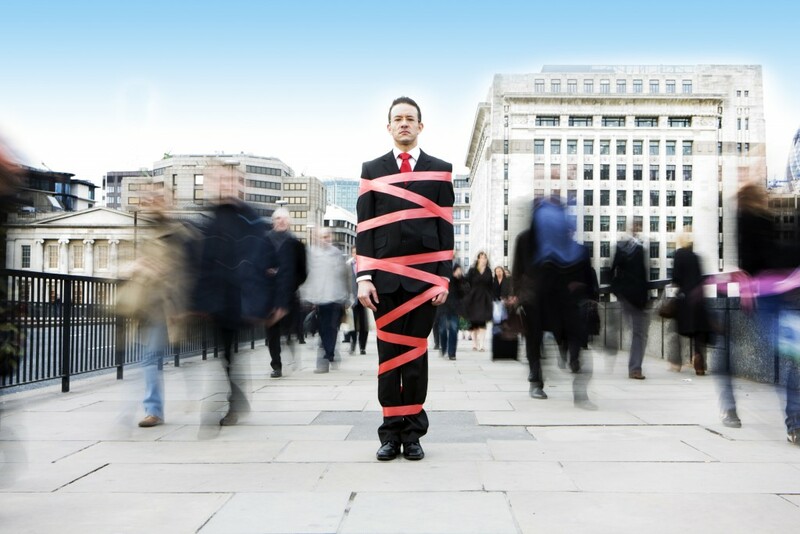 Are Regulatory Issues Giving You Nightmares? As business leaders, many things can keep us awake at night. Declining profits, increased competition or poor sales. However, one of the biggest and most persistent fear is that the firm is not meeting all the regulatory compliance required to do business. Embracing robust processes and technology to avoid these challenges is imperative. Customer Relationship Management (CRM), is really a business culture, based on customer focus. It is about identifying, acquiring and retaining profitable customers. 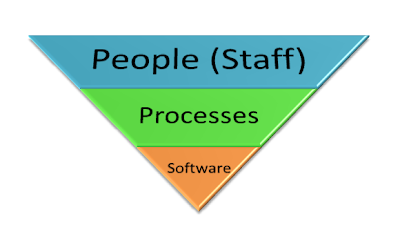 CRM is often thought of as software, but the real mix for a ‘CRM Solution’ is, in my opinion, approximately 15% software, 25% business process and the remainder is people. Without ‘buy-in’ from the staff of a business, the software and even process can be rendered ineffective. As opposed to a CRM System which is really just the software element. The ‘problem’ with CRM is it such a wide-ranging subject. The real value of CRM is that it can impact the whole of your business. CRM will predominantly affect the normal customer facing areas such as Marketing, Sales and Customer Service, as you might expect. Done properly, a CRM solution will also bring into play what are normally considered back office functions. A CRM system should hold all relevant information on a customer, including a communication history and there is no reason that your accountant, operations or manufacturing staff should not also have access to this information, so that regardless of who the customer contacts (or who contacts the customer) they will have all the relevant information at their fingertips. Likewise, back office information, e.g. account and order status should be available to the front office staff so that the need to contact accounts is reduced. Therefore a CRM system can give a business-wide view of customer (and supplier) interactions and becomes very much a team tool, allowing all of the staff in a business to present a coherent experience to the customer. Because it reminds people about tasks they need to carry out, and can be monitored by supervisors, there is less chance of forgetting to deal with customer requests and issues, which will obviously assist in enhancing the relationship with the customer. Who will need access to the system? What sort of information do I need to hold on our customers? How will I engage the staff in the project to facilitate buy-in? Is it feasible to implement a company-wide solution immediately? And of course, what are the likely benefits for the company? There are, of course a lot more questions you should be considering, and an article this size cannot hope to encompass those, but we will focus on how to make the transition less painful than it might otherwise be. You might be encouraged to initiate a company-wide project immediately, and in some circumstances this can be feasible. The more sensible approach though might be to run a pilot scheme, preferably with a handful of your less technophobic staff to iron out how the system will be used and to write some procedures for using it. Once the basic system and processes have been vetted, the system can then be rolled out in phases, perhaps starting with some basic functionality, which can be upgraded once the staff are used to the basic system. This transitional approach will often result in a smoother implementation, less disruption and an easier learning curve for your staff. So CRM can work, it does not have to be terribly expensive or disruptive and should easily be able to pay its own way, all it needs is a little planning and forethought, like much else in life. We have already discussed how Marketing and Sales can benefit from using CRM. In this article we will look at the impact on Customer Service in a business. There is an old adage in Customer Service; ‘look after your customers or someone else will’. This has never been truer. It is so easy for customers to change suppliers now; even selling something cheaper isn’t going to retain customers if the service stinks. Even online retailers, some of whom are the cheapest still try to provide good service, especially in terms of replacing something that is faulty quickly and simply so the customer feels little risk is involved in the transaction. This is enhanced by allowing the customers to comment on products and services and allowing prospective customers to read these ‘reviews’. This embodies the new age of honesty and transparency when dealing with customers or prospects. If you don’t the new freedoms available via Social Networking will quickly expose you and you may not even be aware of it. More on that subject in a later posting. So what is Customer Service? Well this can come in a number of guises but basically it is how the prospect/customer is dealt with when they have a query or issue with a product or service they have or are looking to purchase. One of the aims of customer service, apart from any statutory duties is to keep existing customers and entice new ones. There is a plethora of statistics on the benefits of retaining customers over getting new ones and we will cover this in more detail in a later posting. The norm is to assume that it can cost five times more to get a new customer as opposed to selling to an existing one. So that alone should be enough to convince you about having a retention strategy. If it doesn’t, watch this space for a more in-depth discussion on the subject. Sounds technical doesn’t it? All it means is allowing the customer to contact you by their method of choice. Allow them access via the web, email, text, phone, fax, letter, etc. and be prepared to respond accordingly. The technology to enable this is readily available and relatively cheap. This will allow all enquiries to be logged in one system, regardless of channel and an appropriate response actioned. Other than the telephone which people expect an immediate response from (provided a human answers the phone [this is highly recommended by the way]) most of the other channels can have an automated response system setup which will reply to the individual using the information supplied, acknowledging receipt of the information. Your systems should enable you to setup automation (or at least reminders) to send out updates to the customer (using the appropriate channel) as you progress an issue/enquiry, ideally pre-empting customer enquiries on the subject. This is really important. You might know how difficult it is going to be to resolve something but there’s a really good chance that the customer won’t. So even though you may have pulled off a minor miracle to get something sorted the customer may appear ungrateful simply because their expectations have not been managed properly. It is very tempting, especially if someone is bellowing over the phone at you, to underestimate the time required to rectify the situation, or worse still promise a solution that isn’t in fact possible. This is easily done under stressful situations. It is much better to under-promise and over-deliver than the other way around. If you fix something quicker or in a better way than promised, how good does that make you look? This is why it pays to be frank and honest; you will be more respected for it in the end. This is really tied in with the previous paragraph in that if there has been a problem, especially if it was avoidable in the first place. Don’t just fix it make amends as well. Again it is a known fact that people tell other people about bad experiences but by resolving it in a positive way you can get them telling everyone what a great experience they had despite the problems! All of the above are a part of CRM. Customer Relationship Management is about culture and attitude as much as technology so it is really important to ensure that your processes work well before attempting to automate them. The technology is really about enabling multi-channel communication, automating responses, reminding staff to carry out an action and escalating an issue if it isn’t being resolved within a given time scale. Therefore it should allow your customer service staff to spend more time dealing with issues and giving the customers a quality experience rather than dealing with the minutiae. An additional benefit is that reporting on KPIs becomes so much easier as the data is being collected by the system as a matter of course. Welcome to this discussion on what CRM can do for a business. Today we will look at how CRM can impact the sales process. As we saw on the last posting, the job of marketing was to get the prospect interested enough to respond in some way. The salesman’s job is then to ensure that he makes timely and regular contact with the prospect, gathering his requirements on the way before making his ‘pitch’. This may be a simple or a complex process depending on the type of product/service that is being sold. The principle aim of CRM is to ensure that the prospect is contacted within a set time and given the appropriate information. There is a saying that ‘…you don’t have to force the prospect to buy, simply make it as easy as possible for him to do so’. and the salesman needs to be able to record the enquiry and respond to it. 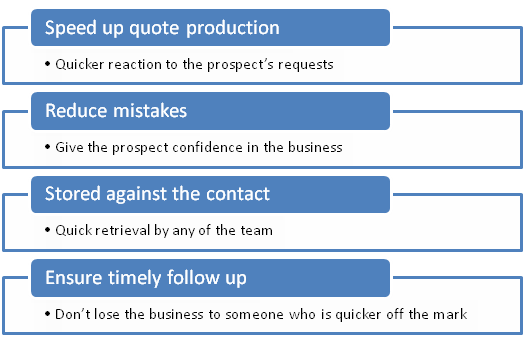 Here is where CRM starts to help the sales team. By making it easy to log an enquiry with all of the details to hand (more can be added later as the relationship progresses) and allowing subsequent actions to be scheduled against that enquiry the system ensures that none of the enquiries falls off the salesman’s radar. This process is made easier where the prospect has been marketed to as the relevant contact details will already be held in the system. This enquiry is often known as a Sales Opportunity or Opportunity for short. Having started the sales process by entering the enquiry the CRM system should encourage the salesman to follow a proven methodology. This is often managed by using ‘workflow’ to move an opportunity from one sales stage to the next. Not only does this ensure that the correct process is followed but can also provide a ‘shortcut’ for the salesman by filling in relevant fields for him. He can then see immediately what is in his ‘pipeline’ and which opportunities are nearing fruition by the stage that they are at. The added advantage of this is that the Sales Manager/Director can also see this information thereby negating the need for sales team downtime while they compile their regular reports. The CRM system should also provide the means to produce and send template emails, letters, faxes or text messages as appropriate. The use of template material ensures consistency of the message and quality of the material being sent, including personalising every message. An added advantage of having the system produce communications is that it will also record them. Provided the sales team can be encouraged to log their calls to the customer (some systems that are integrated with the phone system can record calls and store these against the appropriate record also) then there will be a record of all communication with a prospect/customer. and so can save time and effort and lead to a greater conversion rate. Another important aspect of sales both for the manager/director and the business as a whole is reporting on the sales pipeline and forecasting the likely income over the upcoming periods. Generally this can be quite time consuming either for the salesman compiling the information and/or the manager who has to collate it and send it on up the chain. With the current systems available it is normal to be able to view ‘live’ data or produce historical reports. The fact that the system can be set the task of compiling the correct information as and when needed should save time for everybody in the sales team. CRM has a big impact on the sales department, not surprising considering that the roots of CRM lie in contact management and sales automation tools. A not insignificant part of this is in reducing the time a salesman spends at his desk (planning his week, creating quotes, compiling reports) so allowing him to spend more time interacting with the prospects (which is really what he is being paid for). It also has an impact on sales management, allowing the manager to spend less time collating reports and more time using the readily available information as a diagnostic tool both for the salesmen under them and the sales process itself. We shall be looking in more detail at some of the aspects covered here in a later part of the series. One of CRM Online’s clients is working even smarter and has doubled its turnover after installing our powerful new technology tools designed to help with Customer Relationship Management (CRM). Virtus Consult, a leading UK based boutique construction and management consultancy firm offering tailored solutions to clients investing in construction, property and infrastructure, identified that they needed to increase their investment in CRM tools and strategies to manage their growth and give their clients exceptional support and service. 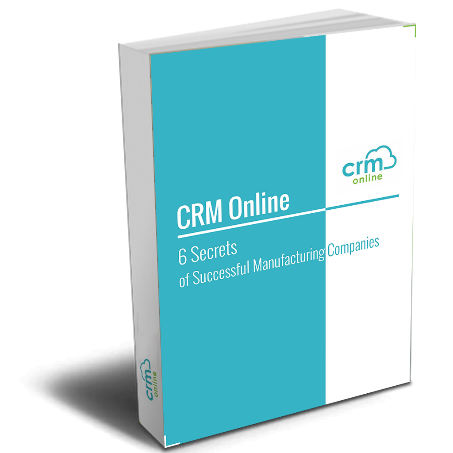 They sought help initially to develop a stronger sales strategy from our experts at CRM Online, who offer down-to-earth business advice and technology solutions to companies looking for fast and profitable growth. Now Virtus Consult is being even more effective at identifying, winning and retaining profitable clients. ‘We realised that to remain competitive and grow we needed to attract more clients to take advantage of our independent and objective advice service,’ said Jan Ponsford, Virtus Consult Director. CRM Online offers a unique mix of technology and business consultancy to growing businesses. We implement and deliver practical, affordable and powerful business solutions that will help businesses grow, work smarter and remain profitable and competitive when times are challenging. Peter Sidhu, Managing Director of CRM Online said: ‘We quickly recognised that Virtus Consult needed an efficient and simple to use CRM solution to help them improve their productivity and allow their sales executives to spend more time in-front of clients and prospects nurturing stronger client relationships and more business. CRM allows everyone within a company to work off a single prospect and client database, so that everyone can work more effectively as a team to win more business and make it easier for clients to do business with you. The application was hosted in a secure datacentre externally and all that was required was a good broadband Internet access to use the application from anywhere and anytime. Virtus Consult is among many major companies and organisations across the world in areas such as Banking, Wealth and Brokerage Management, Manufacturing, Property Services, IT Consulting & Support, Telecommunications, and charities that use our award-winning CRM solutions.